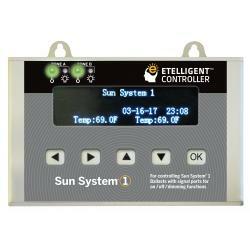 The Sun System® 1 Etelligent™ digital lighting controller enables the grower to control up to 400 fixtures. Features an industry first, ability to control both the Sun System® 1 - 1000 watt and Sun System® 1 LEC® 315 watt Etelligent™ ballasts with the same controller, operating on separate channels. 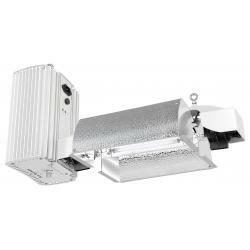 This two channel controller allows daisy-chaining up to 200 fixtures per zone. 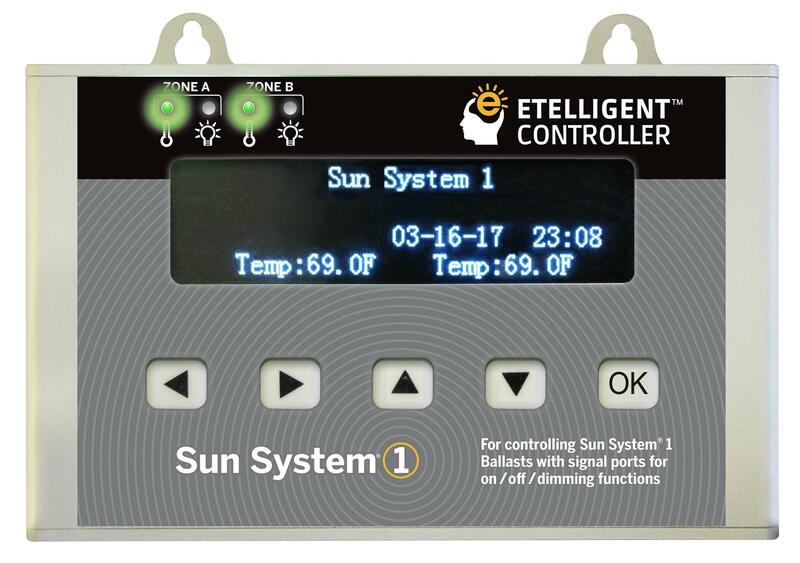 Enabling complete control of your growing environment with timed on/off switching, sunrise/sunset, accurate temperature readings with dual thermal probes and thermal-threshold auto dim-shutdown for additional protection. The complete kit includes 1 Etelligent™ Controller, 1 universal power adapter 5 ft/1.5 m cable, 2 each 16 ft/5 m signal wires with ferrites for connection from controller to ballast and 2 each 16 ft/5m temperature probes. 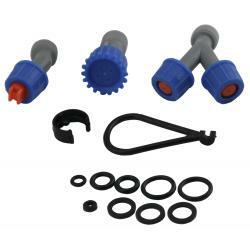 The Sun System® 1 Etelligent™ signal wire for daisy-chaining sold separately #902246.